Put together a top-notch project with the great selection of threaded rods and wire rope grips by Keble's Trading. We have threaded rods in the range of size from 6mm to 12mm and M10x100 to M10x120 respectively, and also wire rope grips in 2mm to 25mm sizes are available to complete your project that can give your construction, marine, automotive, plumbing, or manufacturing project not only aesthetic appeal but effective function, as well. 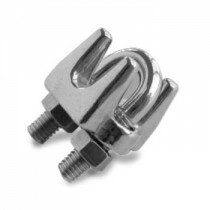 They are all manufactured using a fine quality 304 or 316 marine grade stainless steel. Our Stainless Steel Threaded Rods & Wire Rope Grips are sourced from global leading manufacturers to assure you get consistent ace-quality threaded rods and wire rope grips for that amazing completion of your projects. 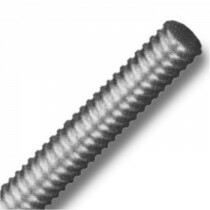 Turn to Keble’s Trading for reliable-grade THREADED RODS & WIRE ROPE GRIPS. Talk to us! We speak your language! We understand your business. Call us at 1-800-067-687 or fill out the contact us form below. No inquiry is too large or too small. We would love to be of service to you today!